Faves: Winter Books | Pi'ikea St. 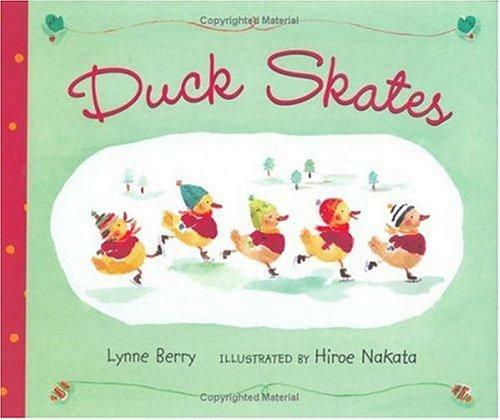 Duck skates by Lynne Berry and illustrated by Hiroe Nakata is one of our most favorite books. The story reads like a musical poem following five little ducks as they head out into the snow for many winter adventures. It is beautifully written and a blast to read. The illustrations by Hiroe Nakata are indredible (Hiroe actually deserves her own fave post, major illustrator crush going on here). The watercolor pictures are bright, beautiful and fun. Her skill is precise and deft yet retains a child-like quality that creates a most charming setting for this story. 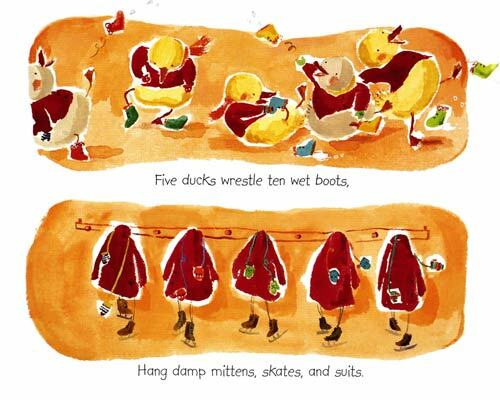 This book is one in a series of Duck books by Lynne and Hiroe and they are all great. 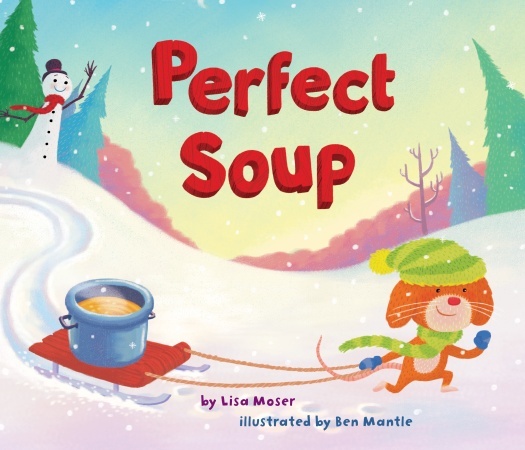 Perfect Soup by Lisa Moser and illustrated by Ben Mantle is the story of a mouse who sets out to make a pot of soup for a winter day. He finds that he is missing a key ingredient which sends him on an adventure in the snow to find it. Along the way he helps many friends and ends up making an unexpected friend to share his Perfect Soup with. Kids will love this story that focuses on helping and sharing. The theme of making soup also makes for a great activity to do with the kids after you read the book. This is a great book that’s as perfect on a winter day as a hot pot of soup. 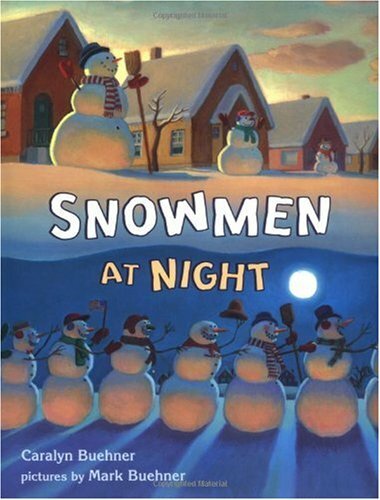 Snowmen at Night by Caralyn Buehner and illustrated by Mark Buehner is a whimsical imagining of just what those snowy sirs do while we’re sleeping. Follow the snowmen on all the winter shenanigans they get up to unbeknownst to us. The illustrations are fun and detailed and have many hidden images in them so it’s fun just to sit and look at this book. What are some of your favorite winter books?